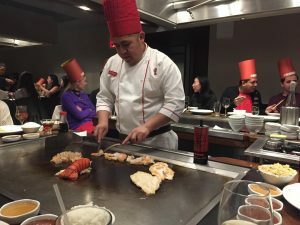 We have been to Benihana in both New York and London and the experience is fantastic for families. The children (and me) are always very impressed as the chef makes volcanoes and trains from cooking onions. All the tables are communal and you are sat in groups, where your very own personal chef performs the ancient art of Teppanyaki. Both times we were amazed by the skill of our chef as we watched him slice and dice, and prepare our meal in front of our eyes. The food was delicious with a choice of sushi, sashimi, mouth-watering steak, tender chicken or succulent seafood. The children’s menu was fantastic too. We have visited The Rainforest Cafe a number of times and it’s such a fantastic experience for children and grown ups. The Rainforest Cafe is designed as an exotic jungle that recreates the sights and sounds of the Amazon rainforest. 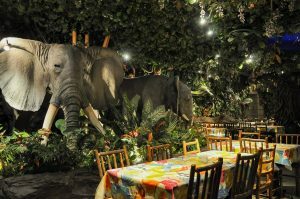 This spectacular dining experience enables guests to enjoy great food and drinks whilst the unique jungle surroundings are brought to life with the help of stunning special effects and lifelike animatronics. Be amazed as all around you there are tropical showers, cascading waterfalls and periodic thunderstorms. If you are a fan of Forrest Gump you will absolutely love this place, the decoration is spot on and the staff are super friendly. If you want a server’s attention you flip the sign on the table to “Stop Forrest Stop” and when you don’t you flip it to “Run Forrest Run.” The kids had so much fun! 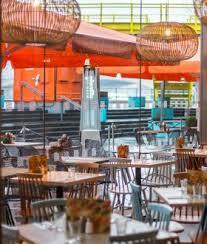 Bread Street Kitchen is owned by Gordon Ramsay and the menu and food are fantastic. The kids menu, Tilly’s Treats has been designed by his daughter with the choice of meatballs and pasta, fish & chips, sausage & mash or pizza for main and chocolate brownie, ice cream or sticky toffee pudding for dessert. And here’s the best bit – kids eat free!! For every paying adult a child gets to eat free – amazing!! 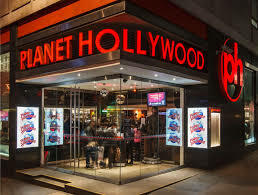 Planet Hollywood is the world’s only dining experience inspired by the glamour of Hollywood and is such a fun and vibrant place to take the family to. 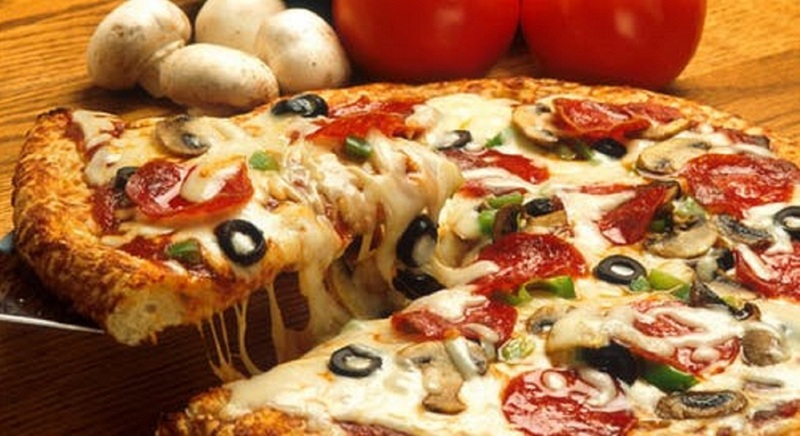 The menu has a great choice of burgers, steaks, salads and pasta to choose from and it has a great kids menu too. 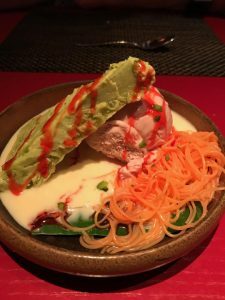 We visited Bodean’s in Soho recently and the whole family absolutely loved it. The menu, as you would expect was full of BBQ ribs, milkshakes, burgers and hotdogs. 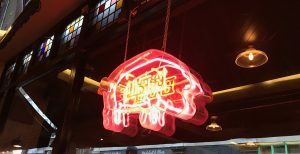 Me and my husband opted for the Bodean’s platter for two consisting of lots of ribs, Bodean’s famous burnt ends, pulled pork and chicken thighs which were all incredible. The kids menu was 3 courses with crudites and Hummus to start followed by a choice of Baby Back Ribs, Chicken wings, Burger (or Cheese Burger) all with fries, Mac and Cheese or Sausage and Mash. The choice of dessert was Lil Judes milk Lollies in a choice of flavours. We visited Masala Zone recently with the kids for my birthday and service was impeccable and the food delicious. The kids menu was fantastic and their food was presented in such a way that they couldn’t wait to eat it. 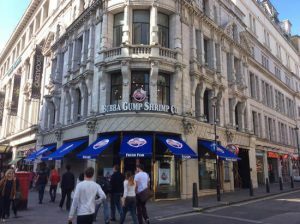 It’s also just a short walk from Hamley’s on Regent Street if you wanted to pay it a visit. 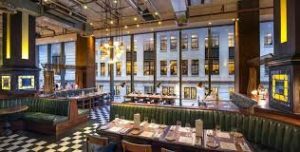 We hope you found our post of family friendly restaurants in London useful, if you would like this and other great events sent directly to your inbox, why not sign up to our newsletter here?